While exploring residential districts in Venice, Italy I discovered this stabilized building. It appears that the arches above the waterline were in need of support and wood beams were used to secure the building's structural integrity. 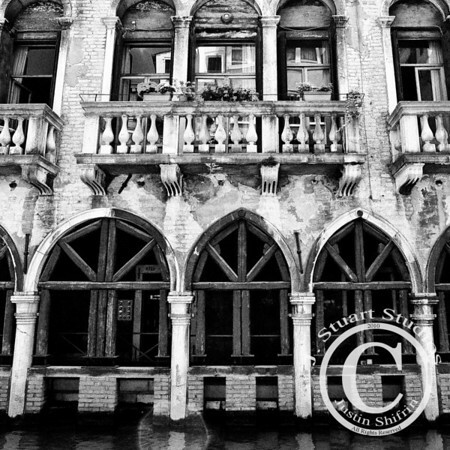 Many edifices in Venice are sinking, leaning, and crumbling. Interestingly, this is the first building that I encountered with artificial external supports.